Water Footprint of Food: How much Water is Hidden in your Meal? 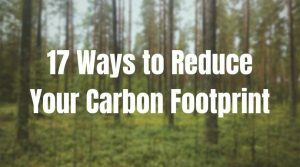 If you’re looking to live eco-friendly, you must take into account the water footprint of your food. (Water footprint is the amount of water needed to make specific goods and services). Unfortunately, most people don’t know about the HUGE amounts of water needed to make their food. 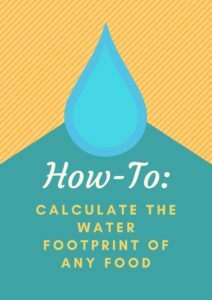 Free Bonus: Download a Free Step-By-Step Guide that will show you how you can easily calculate the water footprint of any food you eat. Note: To find out more about the water footprint of different foods, check out this page on waterfootprint.org. 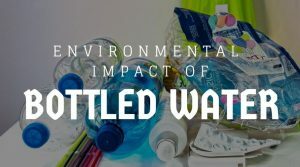 You may share this infographic on your site or blog as long as there is a link back to this page crediting the infographic to Get Green Now. 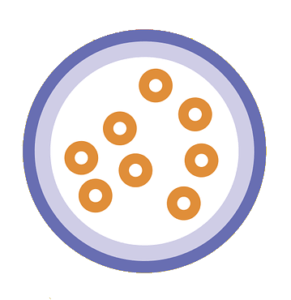 Most North-Americans have a breakfast consisting of a bowl of milk, cereal, and some kind of fried or boiled chicken egg. First on the list is a 250ml bowl of milk, which takes around 255 litres of water to make (around 1020L/kg). A large portion of that number is from the water needed to grow plants which feed the dairy-cow (i.e. grass, hay, grains). Next on the breakfast list is 25g of cereal, which has a water footprint of about 41 litres or about 1644L/kg. Of course, this number is simply an average for all cereals, so different cereals may take slightly more or slightly less water to make. 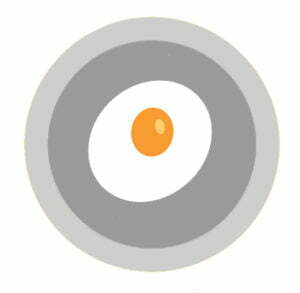 The last thing that we’ll have for breakfast is a fried chicken egg. With a water footprint of about 200 litres per egg, this adds up to about 3300L/kg of chicken eggs. Similar to milk, most of the water footprint is likely from the amount of water needed to care for and feed the chickens. In total, this average breakfast takes approximately 496 Litres of water to make, which is enough to fill 6 bathtubs! On the menu for the second meal of the day is a beef hamburger and a can of Coke. Slice of Tomato: 6 litres. Leaf of Lettuce: 1 litre. 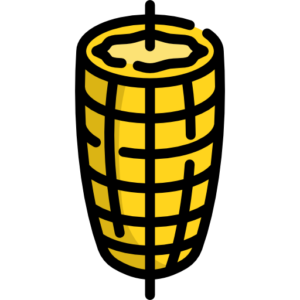 Slice of Cheese: 90 litres. 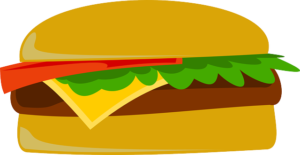 Altogether, this one hamburger takes 2808 litres of water to make. Yup, you heard (or read) it right. That’s 2808 litres of water to make one burger! The majority of the water footprint is from the beef, which has a water footprint of 15415L/kg because of the water needed to grow the cow’s food. 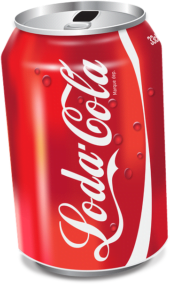 It takes about 124 litres of water to make 335ml of Coke (not including the can). That’s 370 times more than the amount of Coke in the can! These two items have a water footprint of 2932 litres in total. That’s enough to fill 36 bathtubs, or 5864 bottles of bottled water! The last meal of the day for an average american usually consists of a meat with vegetables. 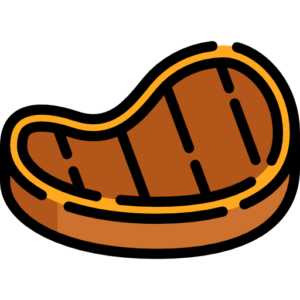 Today, we’ll be having an 8 oz beef steak with a baked potato and half an ear of corn. The first food on this list for dinner is half an ear (or half a husk) of corn, which has a water footprint of approximately 277 litres. Also, if you want to know the footprint of one husk of corn, a bit of simple math will tell you that it’s 554 litres of water. 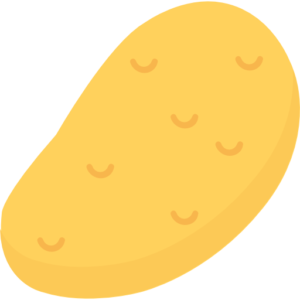 In case you can’t tell, the image above is of a baked potato. The water footprint of this vegetable is 108 litres – don’t overlook it just because its a side dish! A beef steak is delicious, but is its water footprint as tasty? (HINT: It isn’t). The water footprint of beef is much higher than those of other meats. At about 15415L/kg, an average 8 oz beef steak takes about 3496 litres of water to make. It takes a lot of water to grow the plants which feed the cow. Feeding the cow makes up 99% of the water needed to produce beef! This dinner has a water footprint of 3881 litres. For reference, 3881 litres of water is enough give you one bath a day for 48 days! In plain English, this dinner uses enough water to fill a bathtub 48 times. Now that you know about the amount of water it takes to make your food, it’s time to start taking action. Just one simple change like having a meatless Monday could lead to a huge amount of water saved (just look at how much water it takes to create a steak!). 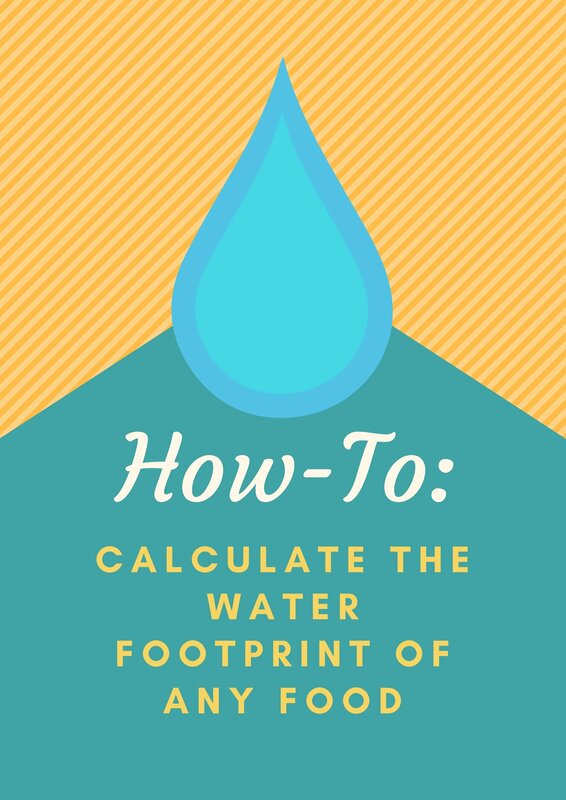 If you’d like to learn more about food’s water footprint and how to easily calculate the water footprint of any food, you can download the free step-by-step PDF guide that I made exclusively for readers on this blog (below). Download This Exclusive Step-By-Step Guide FREE! Thank you for the lovely comment, and no problem. 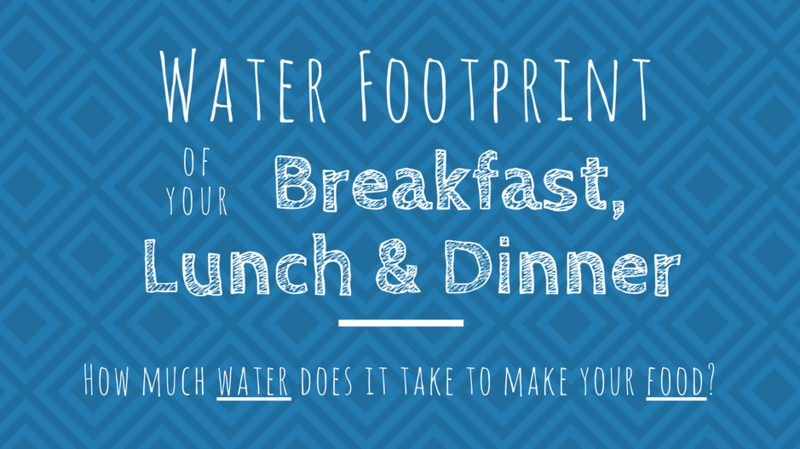 Great infographic about the water footprint of different foods, keep up the great work!